February 22-24….A huge success! The 8th Annual Algalita Plastic Pollution Solutions International Youth Summit. Lots of young energy pushing for radical change! Three exciting days with students from eight different countries. 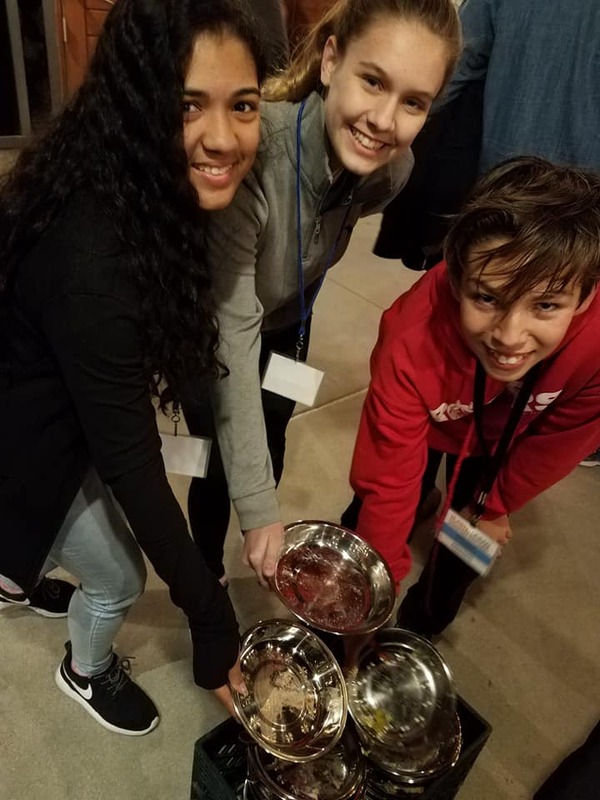 Algalita’s Youth Summit Explores Global Solutions to Plastic Pollution. “Very fresh, very innovative summit. Team building to the max under Katie, Algalita’s Executive Director; Anika; Education Director and Leadership Programs Manager Doshi’s leadership. Highlight for me was the Tunisian teams”……Captain Charles Moore. 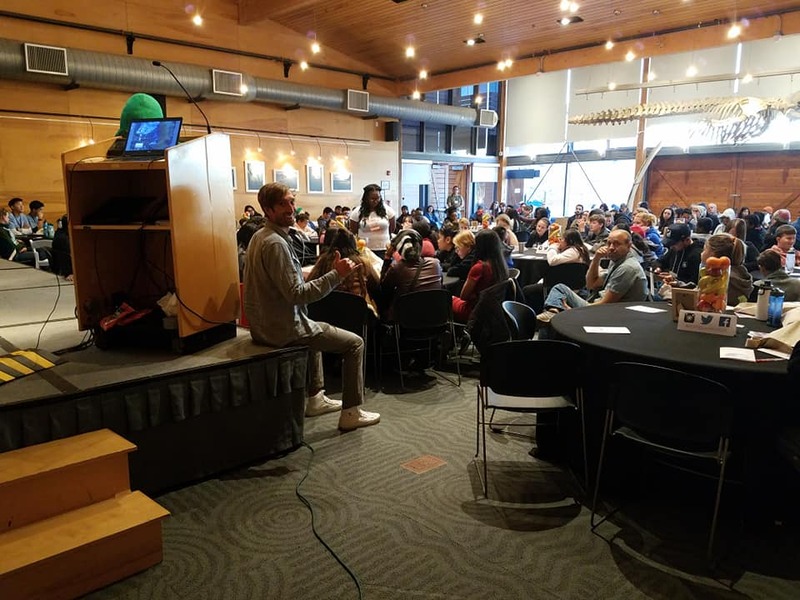 “ From Stiv Wilson, Inspirational Speaker at the Conference “The thing I want to tell you all is the most powerful testimony always comes from the voice of youth…”. These three videos are excerpts from the Summit Program. February 12, 2019. THE NEW YEAR BEGINS WITH ONE OF THE MOST IMPORTANT SYMPOSIA OF THE YEAR…. 6th Annual Zero Waste Symposium. San Diego. Once again will have the opportunity to participate in this important yearly conference. Reaching Zero through Revolution speech at the San Diego Zero Waste Symposium. 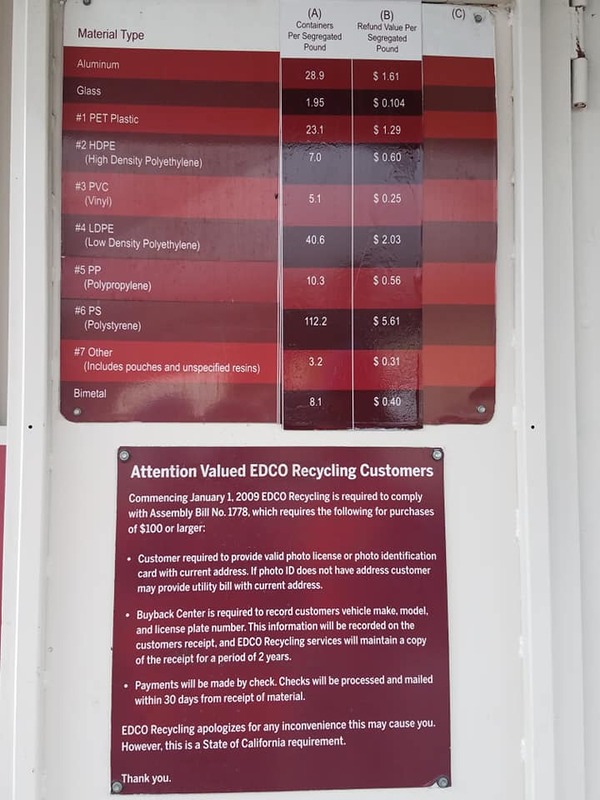 Zero waste means complete resource recovery. 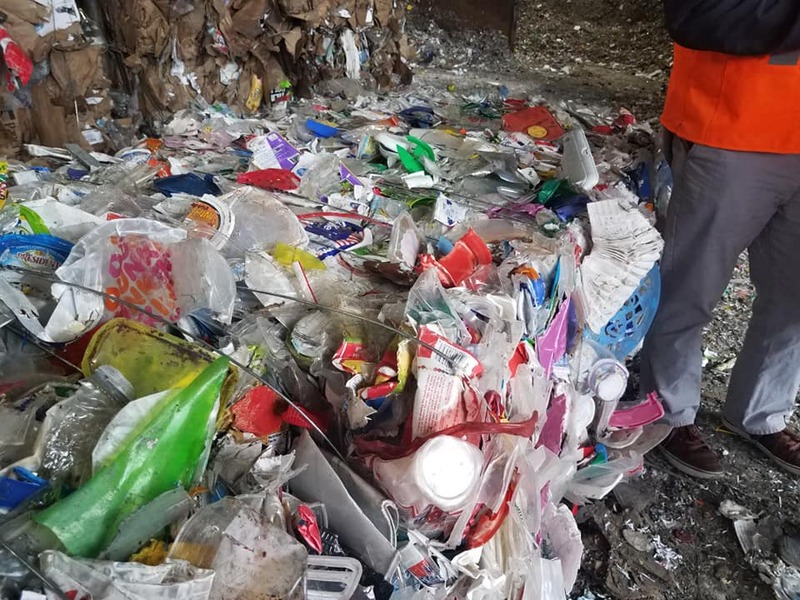 EDCO and Miramar in San Diego are on the front lines of the struggle to make our discards new again. 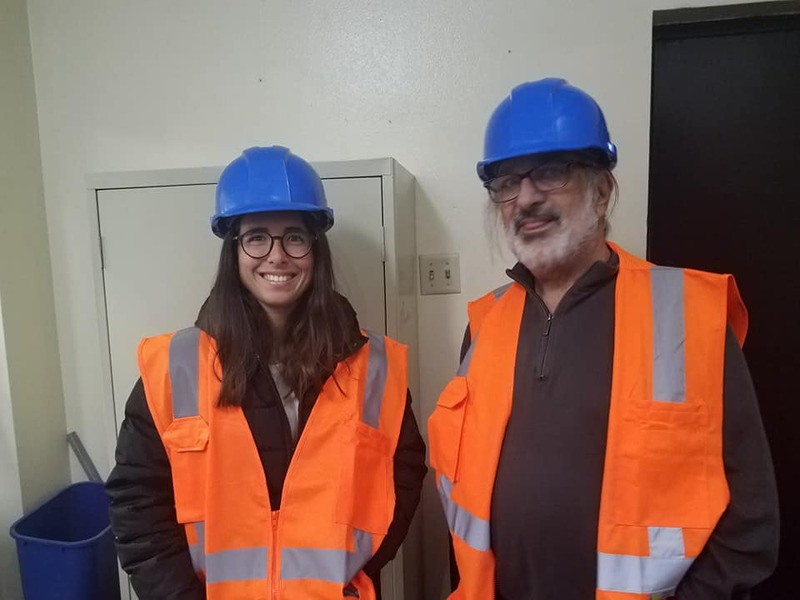 Carolina Gonçalves from Claro Cascais Portugal, learning the ins and outs with the help of Richard Anthony. November 20. A hastily scheduled presentation at the University of Lisbon planned for a small turnout. WOW!…we had to wait in the hall while they looked for a larger room…and I STILL had to to two presentations back to back to accommodate everyone——the Plastic Conversation is becoming very serious! 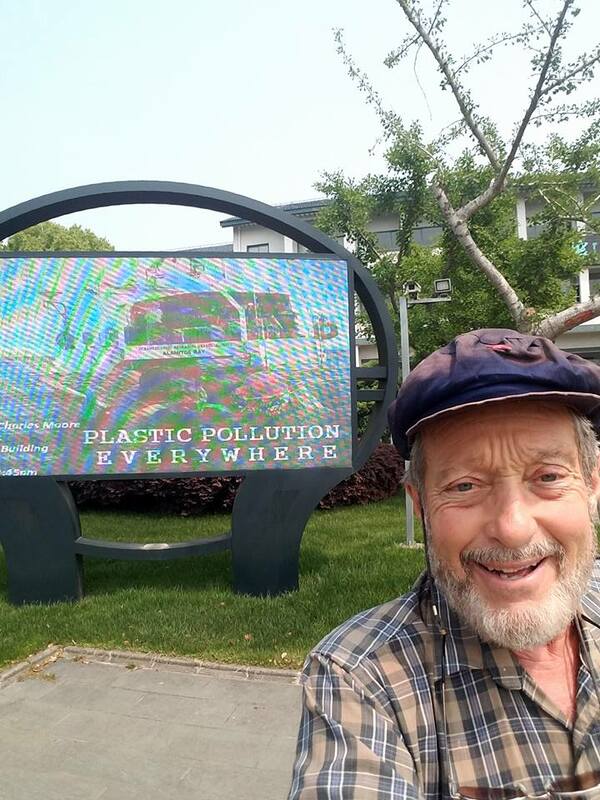 I have been very gratified by the energy and dedication my hosts and students have to being part of the ever increasing voices joining in The Plastic Pollution Conversation. November 18. Prior to the Book Launch for Plasticus Maritimus, we had a beach cleanup North of Lisbon. The strand line was full of nurdles and styrofoam beads, also little plastic sticks from ear buds. Then to the displays the author, Ana Pêgo, set up for her signing party. 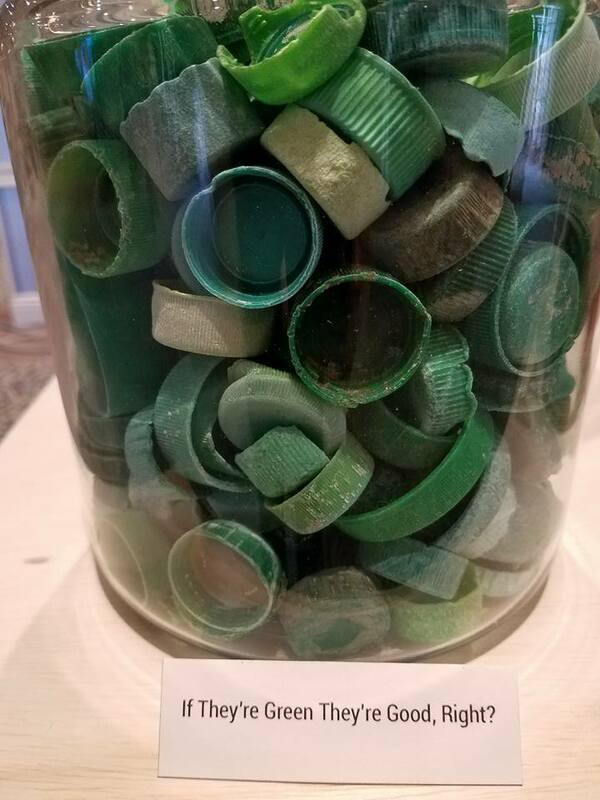 Kids really like identifying familiar plastic waste, and wondering about the rest. On November 16, National Day of the Sea, I made my presentation of “20 Years in the Gyres: An Overview of Algalita’s Monitoring Programs”. Other prominent speakers included Jose Moura, Paula Sobral and Joao Frias. The campus has a wonderful library with some of the most interesting art I’ve ever seen…….a sculpture of books in front of the Library and paintings depicting some of Portugals’ historical struggles. October 1 -2. World Wildlife Fund, Amsterdam. I participated in discussions regarding World Wildlife Funds’ “A Plastic Free Ocean Initiative”, and how I can assist their team to improve their Ocean Program.. 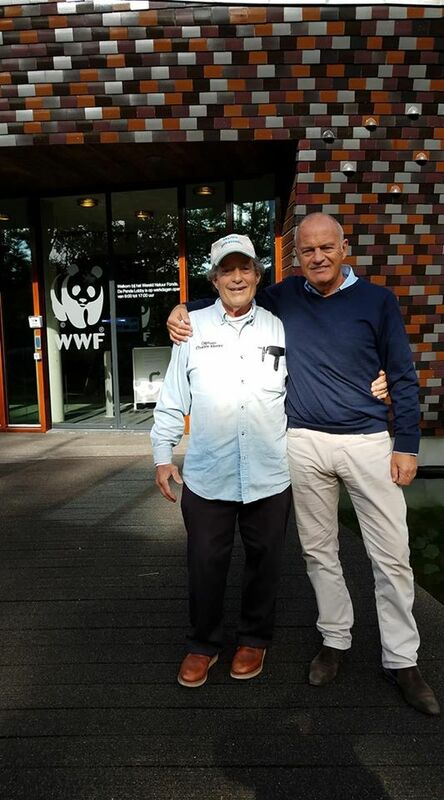 I will also make a presentation to the WWF staff and will be interviewed by Trouw, a leading Dutch newspaper. September 25 - 27, Sringtij, The Netherlands. I was the Keynote Speaker at the Plenary Session on September 27. “A Seaman’s Adventure on an Ocean of Plastic” On the 28th, I was interviewed on “The College Tour’, a Dutch television show. June 25.- 28 Volvo Ocean Race - Ocean Summits, The Hague, Netherlands. During the 2017-18 Volvo Ocean Race, a series of Ocean Summits have been organized at a range of stopovers as a key part of our sustainability program. The seven Ocean Summits are bringing together the worlds of sport, industry, government, science and ocean advocates to showcase innovative solutions and announcements to combat the global crisis of ocean plastic pollution. June 25 . The Volvo Ocean Race was great!. It focused attention on ocean plastic pollution. After the Race, we headed to The Hague for the wrap up. One of the highlights was meeting Corrie van Huisstede, a designer and creator of furniture, jewelry, etc., crocheted using plastic bags. She was kind enough to create a new hat for me to replace the one I gave to the Amazonians in Brazil to copy in order for them to begin reusing the plastic invading their forest. 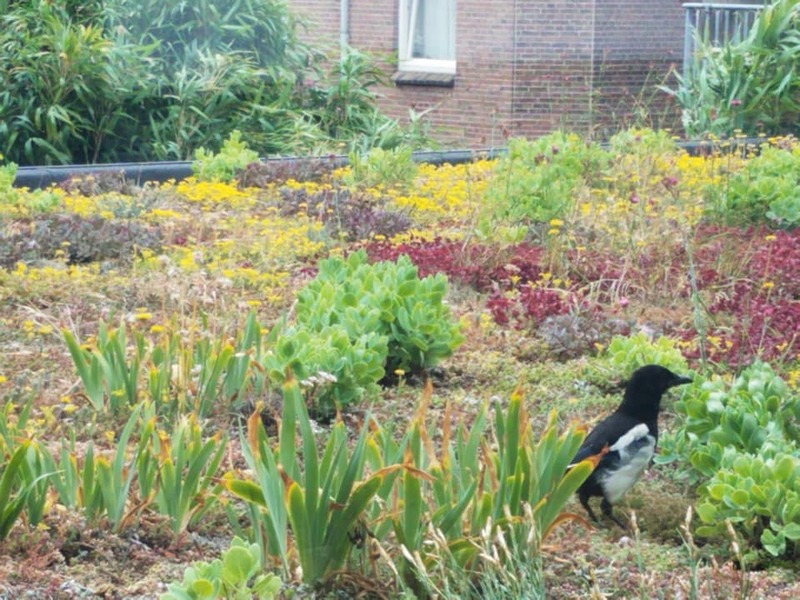 An interesting note....my hotel has a unique feature on the rooftop.....a prarie habitat replete with residents. June 6 - 8. National Junior Zero Waste Brasil Youth Congress in Brazil. III Congresso Nacional da Juventude Lixo Zero Brasil - 2018. The Youth Congress is headquartered in the city of São José dos Campos. Hello Brasilia! Zero waste rules! 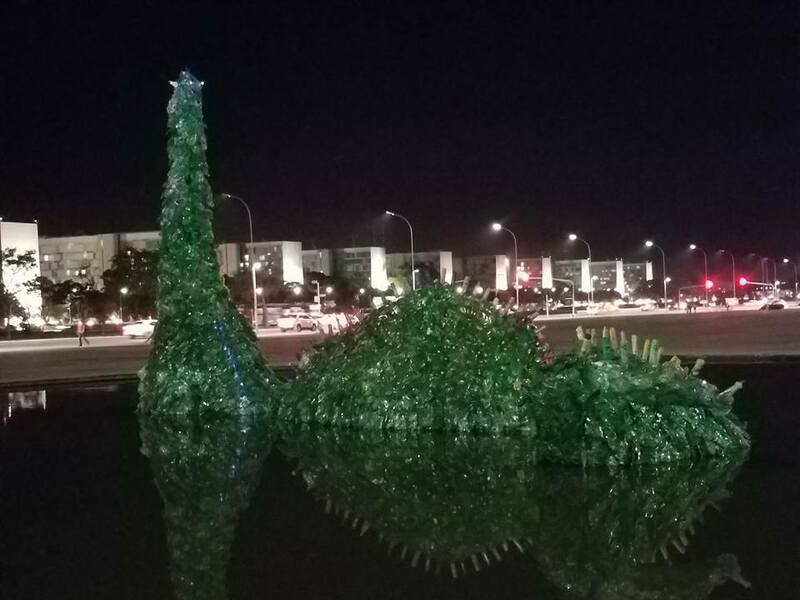 When Maria Koijck was building the green bottle swan with volunteers at the pond in Brasilia, they ran out of bottles. All of a sudden, waste became a resource as they searched the streets for more. This is what inspires her as an artist---seeing that change means a lot to a zero waster. During my presentation at the Zero Waste Cities Conference. I'm smiling, however, some cried when they heard about the plastic plague. A wonderful band with instruments made from waste created great music. May 10. Second Annual Sonoma County Zero Waste Symposium. April 24, 27. 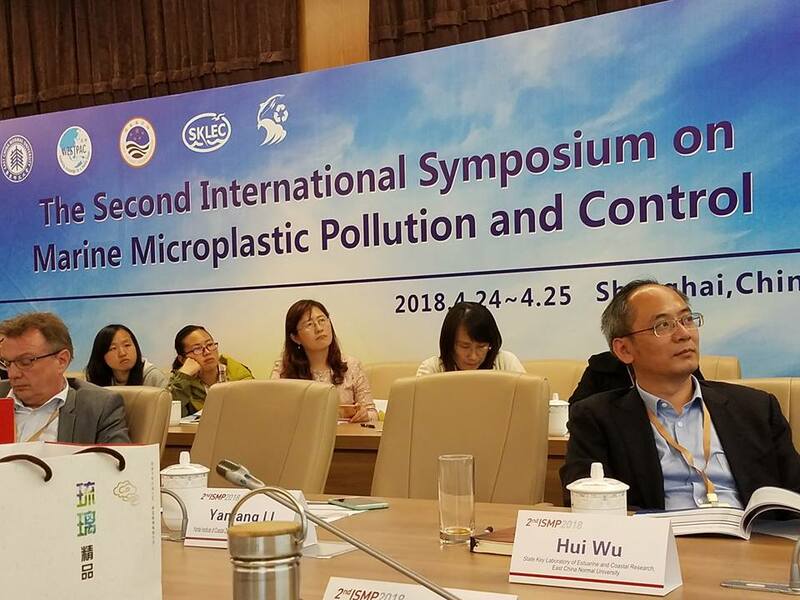 The 2nd International Symposium on Marine Microplastic Pollution and Control, Shanghai, China. This symposium discussed four key topics related to Marine Microplastic Pollution: - Occurrence and fate of microplastics in the marine environment; - Interaction of microplastics with biological and chemical contaminants; - Influences of microplastics on the marine biota; - Citizen science and possible solutions / remediation measures for marine microplastics. This was a very successful conference with an international mix of dedicated environmentalists. 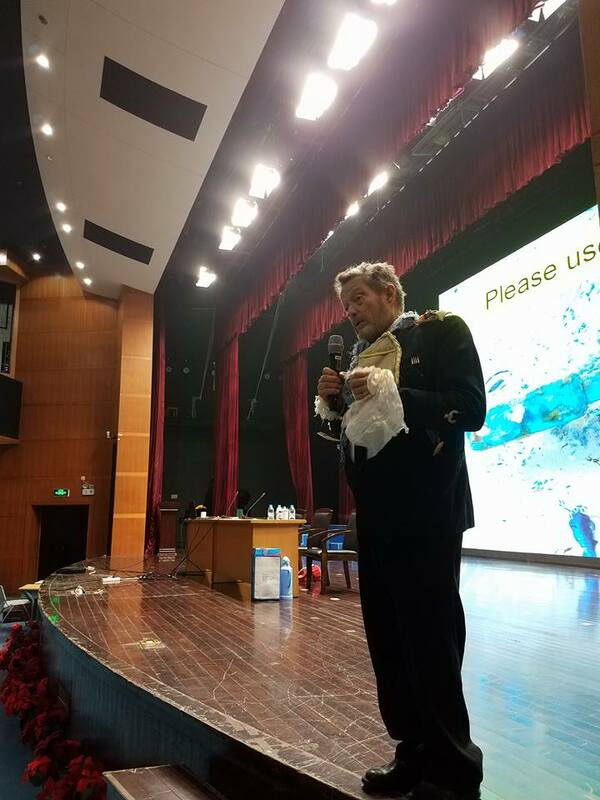 One of the most rewarding experiences I have ever had addressing students was at the Shanghai Zhujiajiao High School. 300 students filled the auditorium, eager to learn and ask questions. A great audience of young people ready to tackle the Plastic Plague. 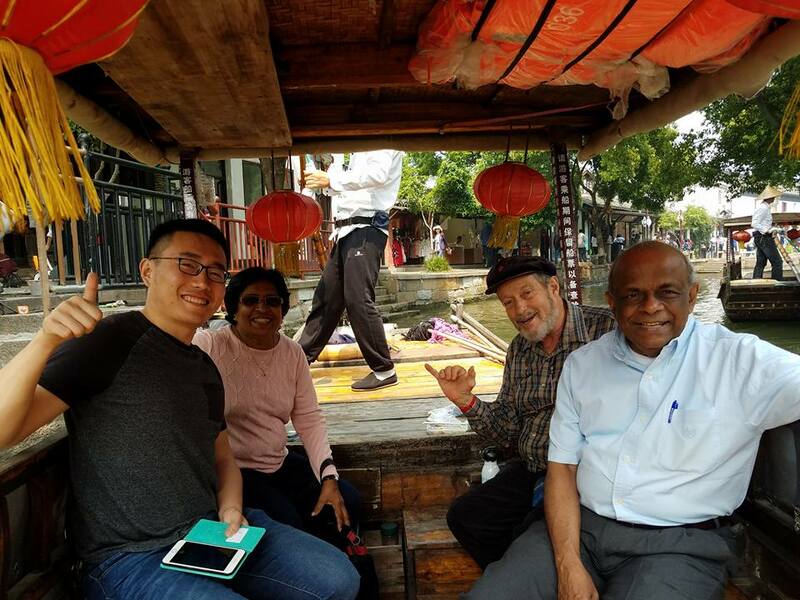 During my stay in Shanghai, I was able to visit some of the City's beautiful locations with fellow colleague presenters. In addition, we were privileged to visit the Ocean University near the Port of Shanghai. "Stride From the Ocean to the World. Strive for a Better Future." We had a lovely lunch and were shown how they compost their waste. 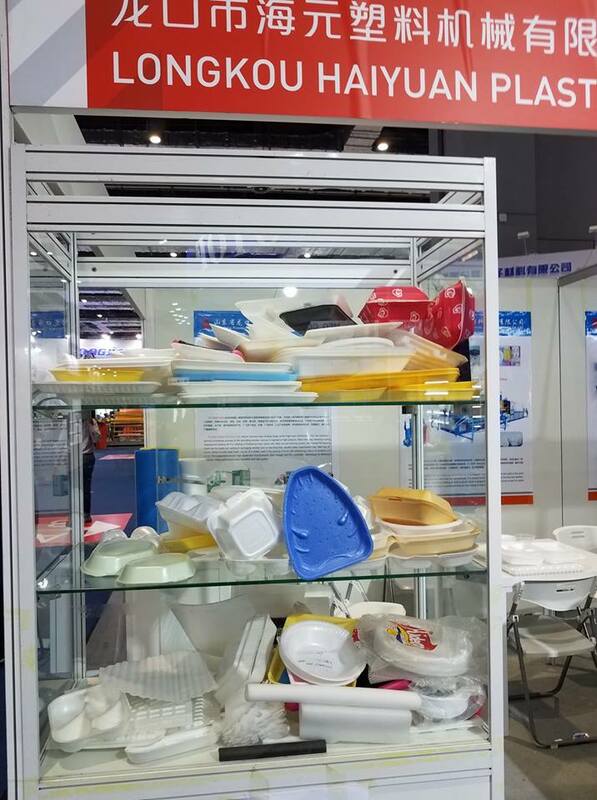 For those of you wondering what is going on with the plastic industry, I submit these photos from Chinaplas, the largest plastic industry expo held in Shanghai, China's most modern trash burning operation handling residuals from Shanghai. 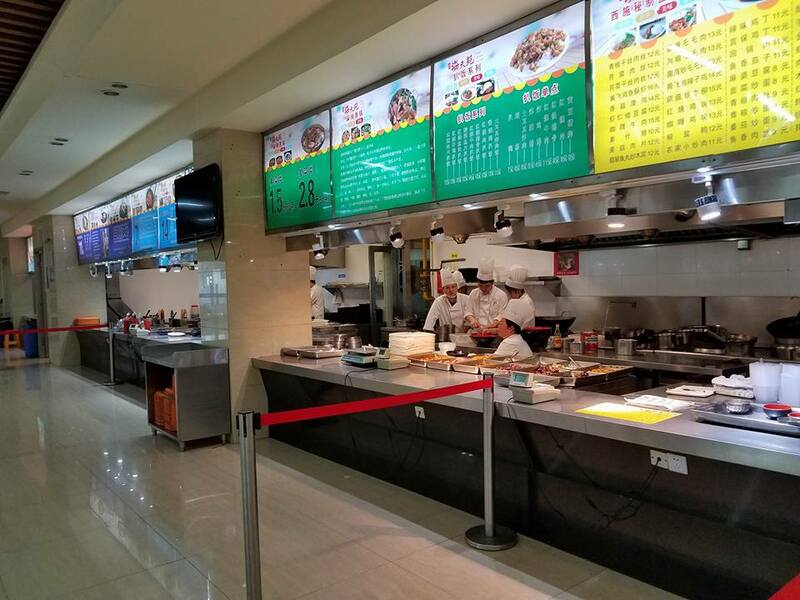 On April 25, a 1,000 stair climb up the mountain to see Yangshan Port, the largest port (fully automated-no people) and the Donghai Bridge, the longest in the world. What a view! April 12 - 13. 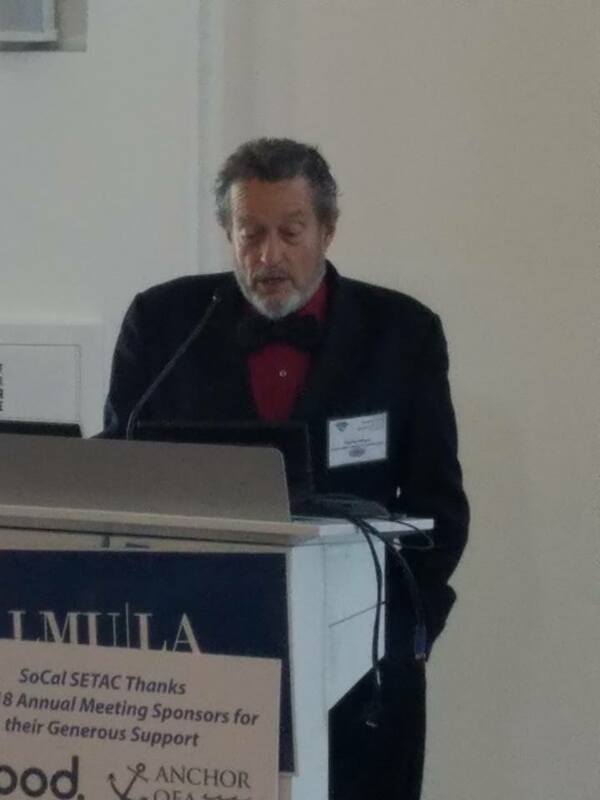 SoCal SETAC Annual Conference, Loyola Marymount University, Los Angeles. SoCal SETAC members host this annual meeting in the spring each year to discuss current issues in toxicology, chemistry, risk assessment, ecology, and many more emerging topics. 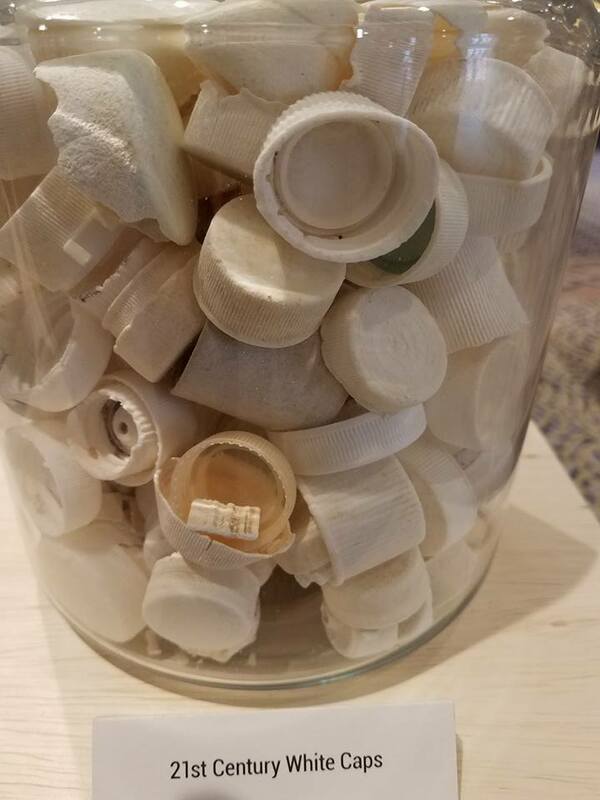 On the 13th, I made a platform presentation titled "Trends in the Quantity of North Pacific Gyre Debris: Two Approaches--Two Answers" about the endocrine-disrupting effects of plastic on marine life. I felt so honored to be able to share the stage with some really amazing scientists tackling this massive plastic problem. Dr. Anna-Marie Cook from the U.S. Environmental Protection Agency, and Dr. James Landry from Loyola Marymount University. March 12 - 17. 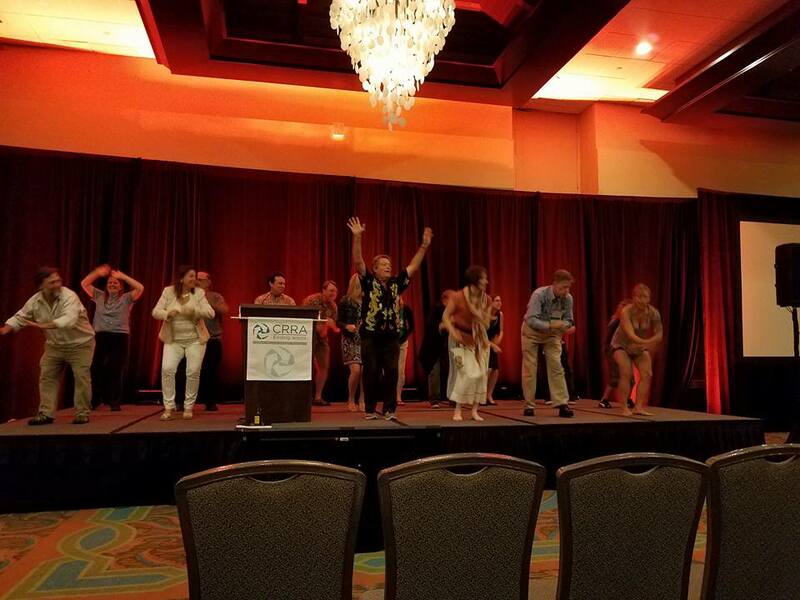 6th International Marine Debris Conference, San Diego, California. A very successful event with great participants. During the course of the event, we conducted several sampling cruises on the ORV Alguita. These were my opening comments on March 13. "Capital doesn't need your labor... We live in a kakistocracy... Now is the time to drive thought beyond the status quo..." The emergence of robotics in the ongoing process of automating economically and socially necessary work should be seen as the final nail in the coffin of the longstanding moral imperative to bring up children trained to perform non-pleasurable, but necessary labor throughout their adult life. Only a fundamentally new society will stop kids from feeling like they are living on the brink in a barely livable world, and stop plastic pollution in the process. The form of this society is hidden, but emerges in the struggle to replace the status quo." February 28. CLEAN WORLD CONFERENCE Tallin, Estonia. 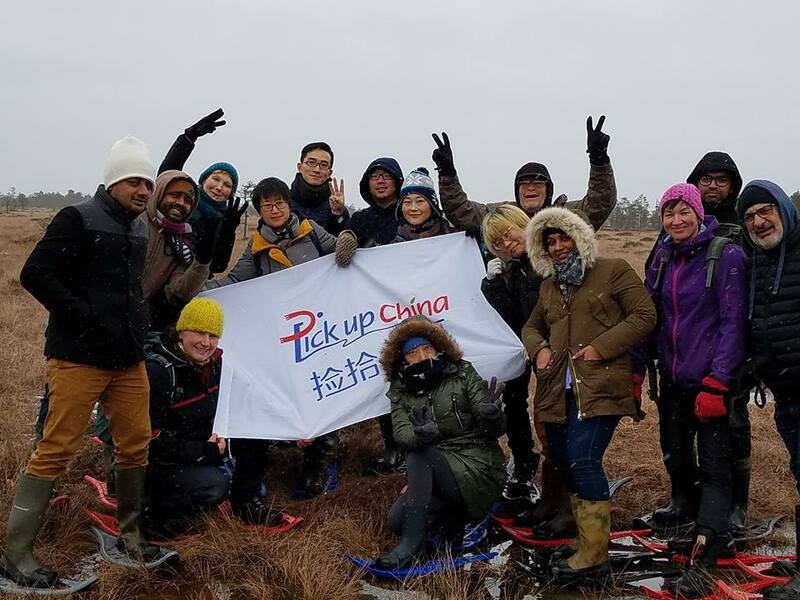 It brought together civic leaders from about 90 countries who are committed to stand up against waste pollution in their countries and cooperate globally to raise awareness about the rapidly growing waste problem. A great deal was accomplished with goals set for the future. Day 1 Overview Sea Meets Land. "Let's Do It" Founder, Rainer Nõlvak "What We Learned". Here is an interview with Captain Moore and some newspaper articles from various outlets, all representing those activities he participated in. Some of them are in Estonian and not able to be translated to English. However, you may find a translate option at the top of the screen in these cases. The Sunday morning Show with Lucas Day; The Evening News; The Baltic Course (In Russian) ; Estonian World . 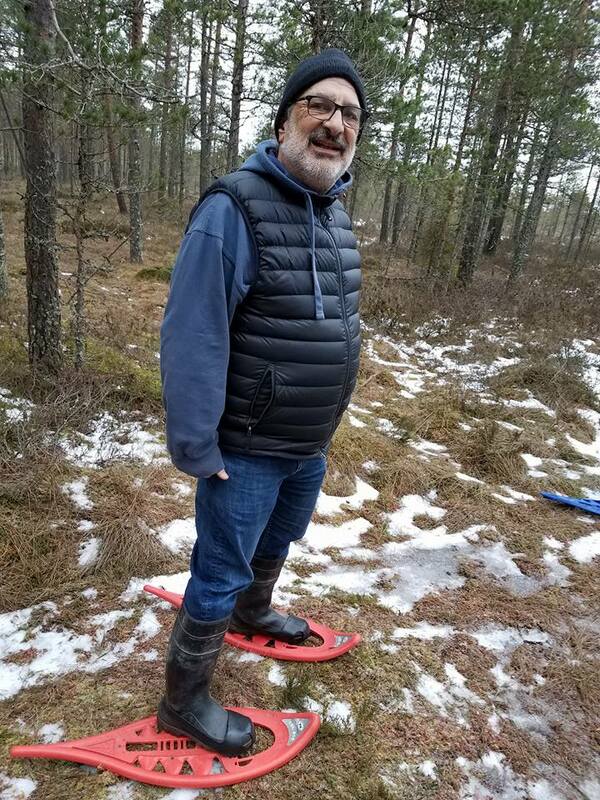 February 27 - Going to an Estonian Bog with Ric Anthony, Pakistani and Chinese participants was exciting. Tomorrow is my last day at the Conference. So much accomplished and yet, still so much to be done. February 26. - "CLEAN WORLD CONFERENCE". Estonia has a Real President in Kersti Kaljulaid. She is a uniter not a divider! Embracing spontaneity and very excited about the incredible people here at the World Clean Up conference. it is gratifying to see their great contributions to a Clean World.!! 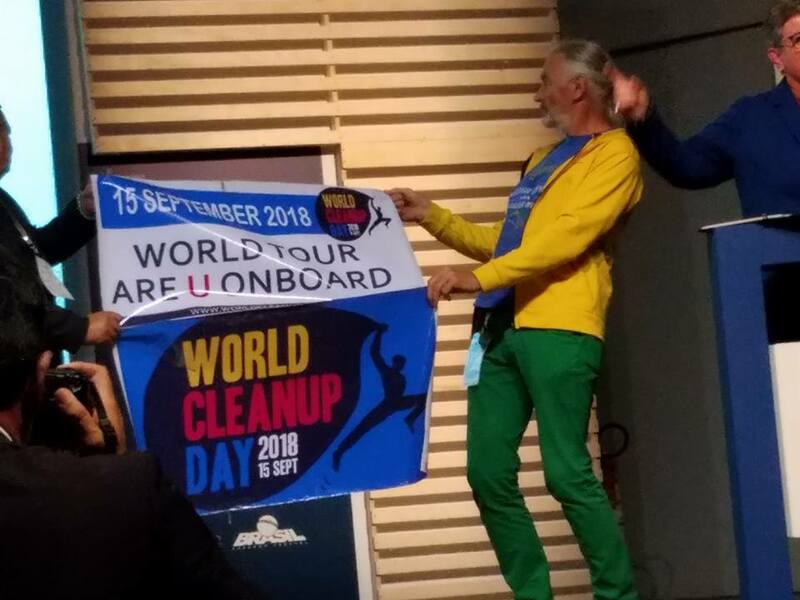 Check out the World Cleanup Day Logo to the left......you'll be seeing a lot of it between now and September 18, World Clean Up Day. So many countries represented here. Kosovo - Albena Reshitaj, Minister of Environment and Spatial Planning; Romania, Stefan Buciu, President of "Let's Do It", to name a couple. February 25 thro ugh 28, 2018 - "Lets Do It" - CLEAN WORLD CONFERENCE , Tallinn, Estonia. 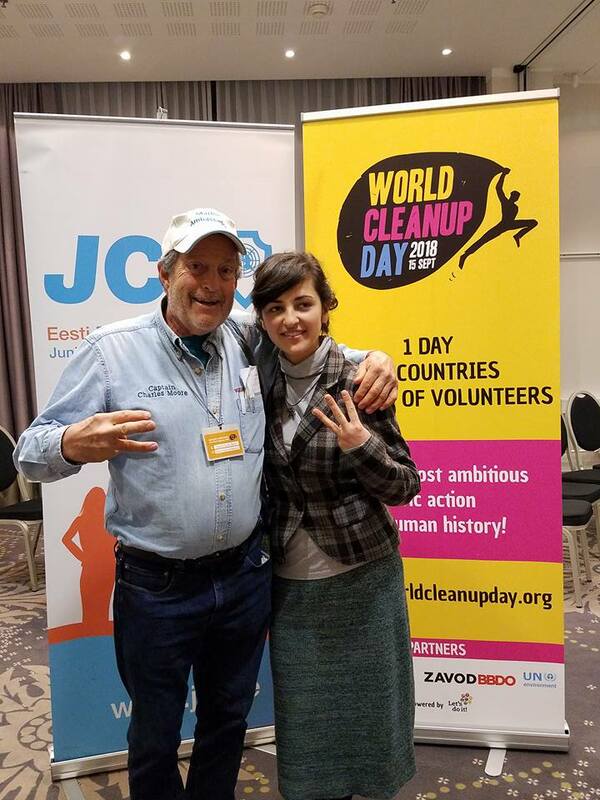 Captain Moore joins Ric Anthony, President, Zero Waste International Alliance, in Tallin, Estonia on January 25-28th for the Clean World Conference! Let's Do It! This is a non-profit that wants to get 150 countries on board for one day of extraordinary action and cooperation. If they succeed, they'll have engaged 5% of the world's population to help clean the environment on World Clean Up Day, September 15, 2018. Algalita will be working with Let's Do It! 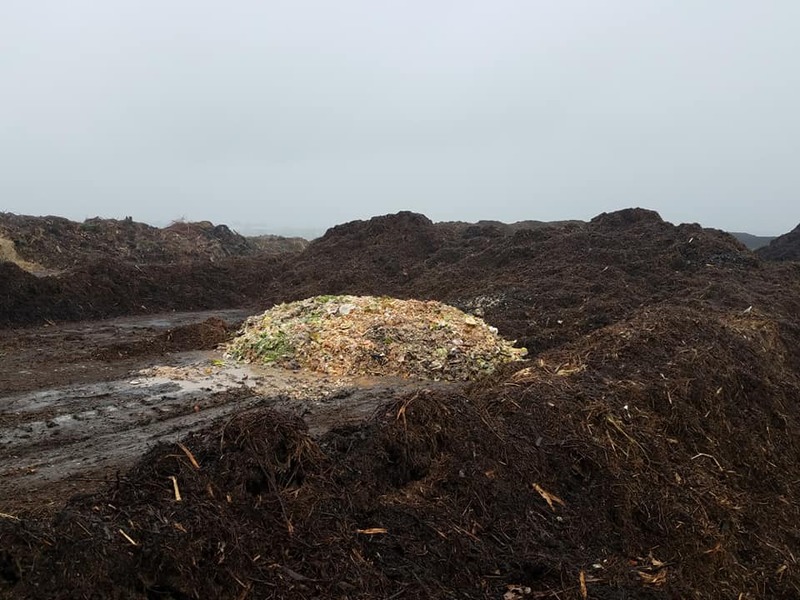 to gather cleanup groups in southern California. 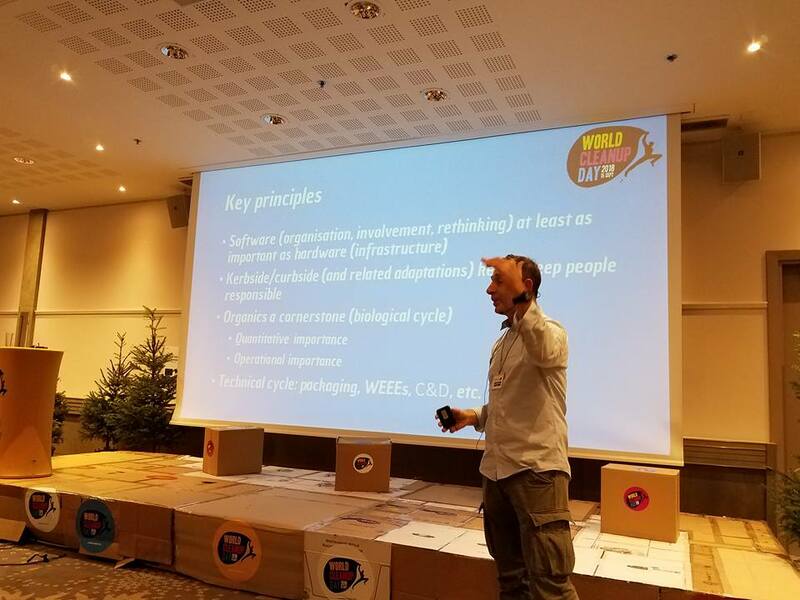 February 25 through 28, 2018 - "Lets Do It" - CLEAN WORLD CONFERENCE , Estonia. Europe. 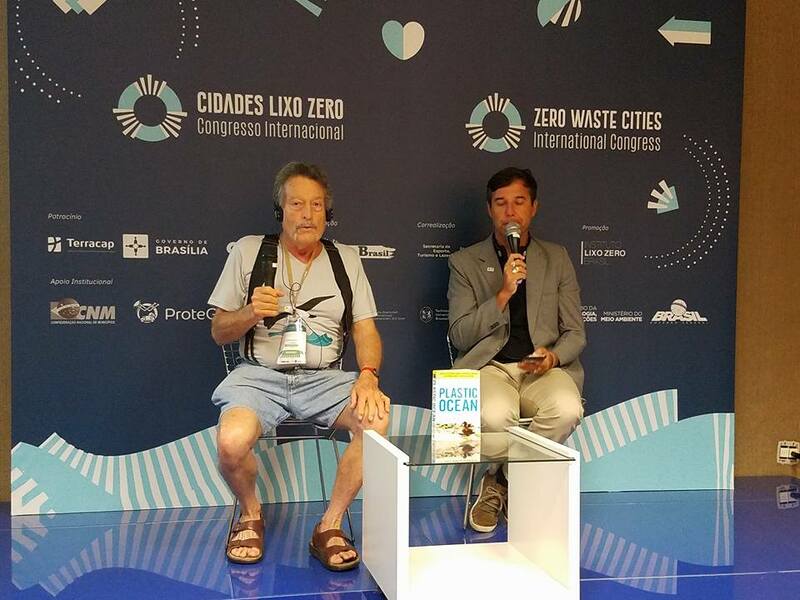 Captain Moore joins Ric Anthony, President, Zero Waste International Alliance, to participate in this important conference. Estonia is a country in the Baltic region of Northern Europe. August 22 - 23, 2017 - CA Resource and Recovery Conference, Paradise Island in San Diego. During the day on the 22nd, we were very busy demonstrating the Van Veen Grab and Manta Trawl on Mission Bay. That evening we held a rehearsal for the 23rd's performance of "The Rime of the Ancient Mariner", in which I save Albie the Albatross by leashing bottle caps to their bottles. 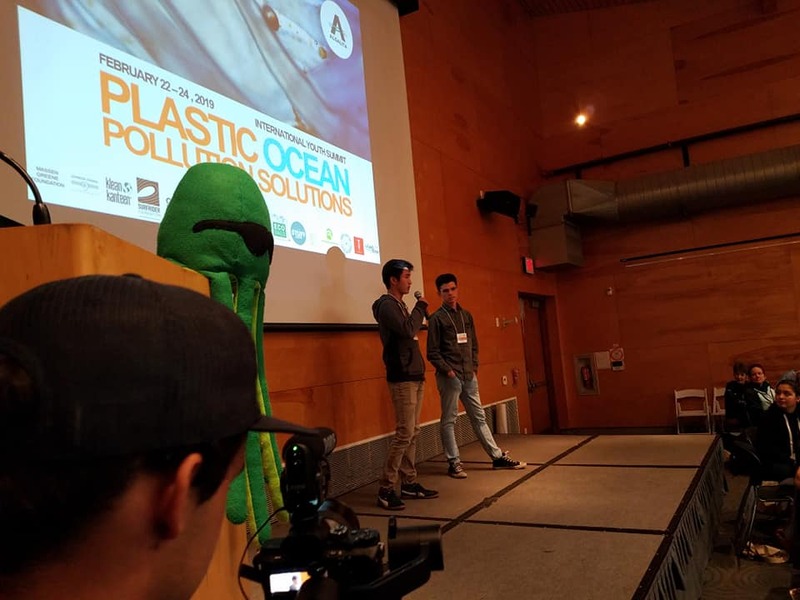 In the fall, traveling to Montpelier, France, I took part in the 2015 Aquaculture Conference in order to expose this major growing industry's plastic pollution problem. This was closely followed by conferences in five cities in Italy, and the Zero Waste Europe Forum in Davos, Switzerland. In Arica, Chile, I demonstrated the Algalita Debris Science Investigation Kit (DSI) to students and met with the Tortu Arica Green Turtle Conservation Group, and in two sessions in Santiago, I worked with university and secondary school level students. When I was in Brazil, I was alarmed to see the Olympic Aquatic venue polluted with plastic sewage while I was sampling the waters of Guanabara Bay at Barra da Tijuca. 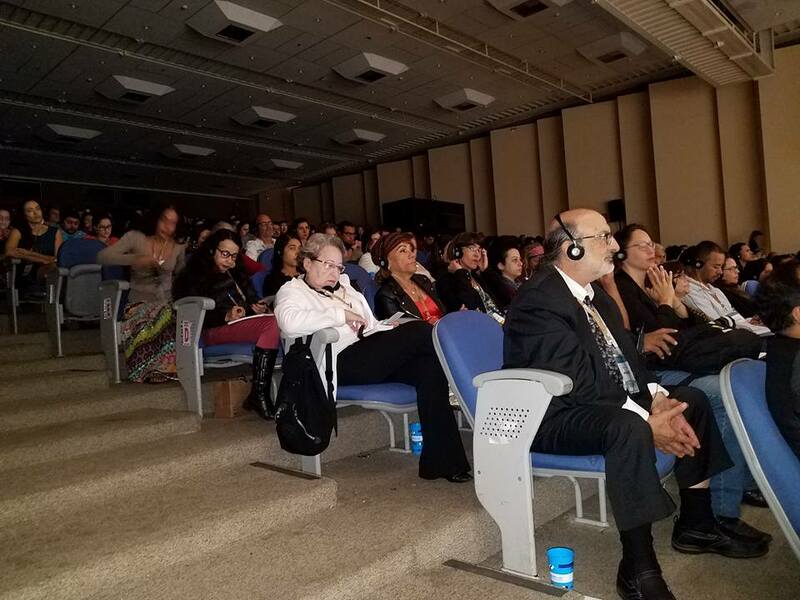 The schedule ended in Rio, with a presentation to government officials and students at the magnificent legislative assembly building. This completed a whirlwind two week multi-city schedule in Brazil, all related to the Zero Waste movement. In 2013, I participated in the 7th World Ocean Forum in Korea. That same year my book was translated into Korean. I took the balance of the year to completely re-fit the ORV Alguita, armoring the hull against collision with large debris and enclosing her propellers in cages. This was in preparation for the 2014 Summer Expedition to the North Pacific Subtropical Gyre. In the fall of 2012, I embarked on my “Plastic Pollution Conversation Pacific Rim Tour” giving presentations in Japan, Hong Kong, Australia, New Zealand and the Hawaiian islands of Maui and Oahu. attendance as a guest speaker at your Conference.